The Salt Lake City area offers plenty of great malls with excellent options for shopping, dining, and entertainment. You'll find large malls as well as a historic brick mini-mall which once served as a trolley barn in downtown Salt Lake City. Some are known for huge holiday events and lights displays. Pick your favorite and shop 'til you drop! 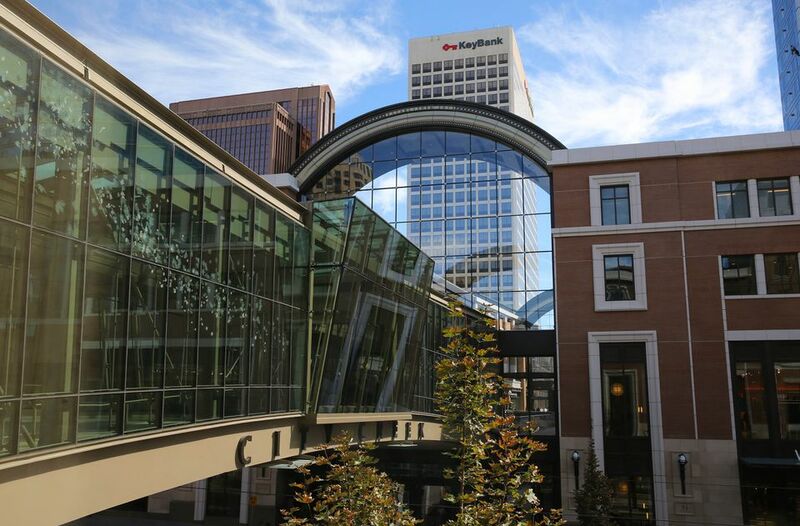 City Creek Center is a 20-acre residential, shopping and office complex featuring more than 90 stores and restaurants, including Nordstrom, Macy's, Tiffany, Michael Kors, Coach, and Texan de Brazil Churrascaria (the fun place where they carve different meats at your table). It's designed to be a walkable shopper's paradise, with six acres of green space, the namesake creek, two 18-foot waterfalls, and a massive retractable roof. The address is 50 S. Main Street. Fashion Place is a huge indoor mall comprising more than 120 large and small retailers and restaurants. Fashion Place features the only Nordstrom in the Salt Lake Valley, and other anchor stores include Macy's, and Dillard's. True to its name, Fashion Place is one of the Salt Lake area's best destinations for apparel shopping. The mall has recently undergone a major expansion, doubling the size of the Nordstrom and adding new shops and fine dining restaurants. The address is 6191 S. State St. in Murray. The Gateway is Utah’s best outdoor shopping center with 125 retail shops and 23 restaurants. Besides shopping and dining, The Gateway houses Clark Planetarium, Discovery Gateway Children's Museum, and a 12-screen movie theater. The Gateway's east entrance is the historic Union Pacific Depot, with a beautiful restored Grand Hall housing art exhibits. The Gateway also features the Olympic Plaza and Olympic Fountain, where choreographed dancing waters attract hordes of squealing children in hot weather. The address is 400 West, between South Temple and 200 South Streets. The Shops at South Towne (formerly South Towne Center) in Sandy include Macy's, JC Penney, and Forever 21 with dozens of other specialty shops and restaurants. The main mall features a beautiful historic carousel in the food court. There are several popular family restaurants on the South Towne property, along with REI and Momentum Climbing Gym. The address is 10600 S. State Street in Sandy. Trolley Square mall is housed in historic barns built for Salt Lake City streetcars in 1908. It's a popular tourist destination with several of Salt Lake's most popular bars and restaurants as well as a comedy club. Shopping at Trolley Square focuses on furniture, art, and decor, with a few apparel shops and bookstores. Trolley Square has a Whole Foods grocery store. The address is 367 S. 700 E. Streets. Valley Fair Mall is a great all-purpose mall in West Valley City, with anchor stores Costco, Macy's, and Ross Dress for Less. It also features more than 120 specialty retailers, several fun family restaurants, and a nine-screen discount movie theater. Looking for a great hike near Salt Lake City? These are our favorites!